For ESL Computers / Digital Literacy Classes. You can make a copy of these documents and edit them as needed. To make a copy, click an image below to open the file in Google Docs, then click File >> Make a Copy. Any questions, comments, suggestions, are welcome. This page is updated fairly regularly. Join the newsletter to hear when new content is added. 1. See the Teacher Notes at the top of the document.. then go ahead and delete them before you share the document with your class. 1. Share the documents with your students. 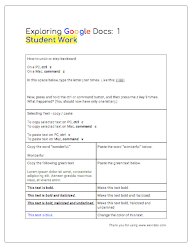 Have each student make their own copy of each document. 2. 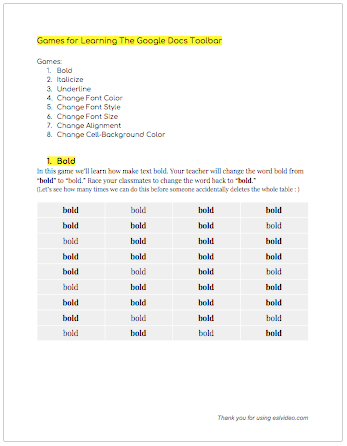 Walk the class through the "Classwork" activity. Demonstrate how to complete each task. 3. When finised, ask them to open the "Student Work" document and complete each task again -- this time on their own if possible. 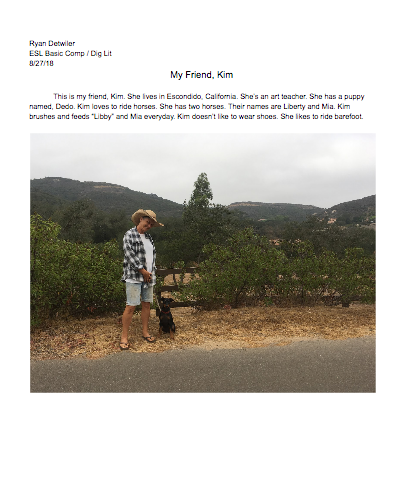 Students practice sending an image from their phone, downloading it from email, creating a new document, working with text and image, and sharing their google doc with their teacher. Send a picture from your phone to your Gmail. 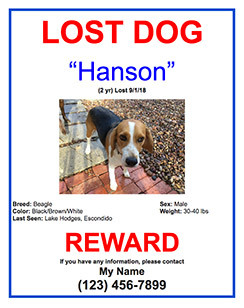 Download the image from Gmail. 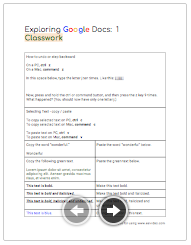 Open Google Docs and create a New Document. Type your name, the class, and date. Type and center align the title. Increase the title font size. Type a paragraph. Don't forget to indent. Drag and drop your picture to the document. Click the blue SHARE button in the top right corner, and Share your document with your Teacher. Finally, present your project to the class. 2. Repeat the project each class or as desired (with any picture from their phone). 3. If you repeat the journal project each class, you can introduce something new each time, for example, instead of sharing a photo from phone to gmail, share it to Drive. Or introduce how to change page color, tables, download as PDF or Word doc and send to you as an email attachment. After several classes they'll have a collection of journals you can then use as content for a Google Site portfolio page. 2. Format the provided table to look something like the example on page 2. Students learn how to find (search Google Images) and add images to a document. 1. Share the document with the students - Everyone is working on the same document. 2. Review the example and template. 3. Assign or let each student in the group pick one of the following categories. 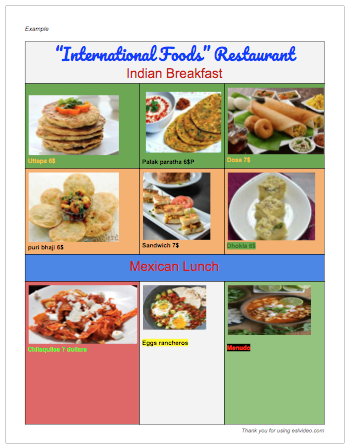 They then populate the menu with images of food/drinks from their country. See additional Teacher Notes at top of document.